– The MoBell Bar can be used as an Olympic bar OR a curl bar with our patent-pending bags, bumper plates or standard 2” gym plates.The MoBell Tactical Bags can be used on the bar as weights or individually for thousands of workouts. They are equivalent to 4 sets of 5-45lb dumbbells, a plate tree, or 4 sets of 5-45lb kettle bells. 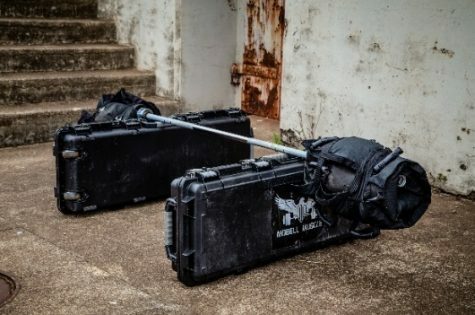 The 5, 10, and 15lb filler bags can also be used independently of the Tactical Bags for a variety of exercises. Incredibly versatile and portable, MoBell Muscle provides you Fitness Freedom. Anywhere. Anytime. Get a full gym in for the cost of just one kit – you can train virtually every muscle in your body. Get a full-body workout with just one, easy to set up piece of equipment. Lightweight and Portable – it sets up in minutes virtually anywhere. Perfect for group training. Each piece of our gear was designed to be used in multiple ways – either individually or with other Kit components. 100% Sourced in America from the very best military-spec materials, we provide you with ultimate quality and durability. Built to last. Train as YOU operate. Whether that is Crossfit, Power Lifting, hitting those glory muscles or just starting your fitness journey. Get an effective work out at your level with scalable weights.